A fun way to use these is to ‘grab’ sentences with ‘good’ out of children’s books and write them down. 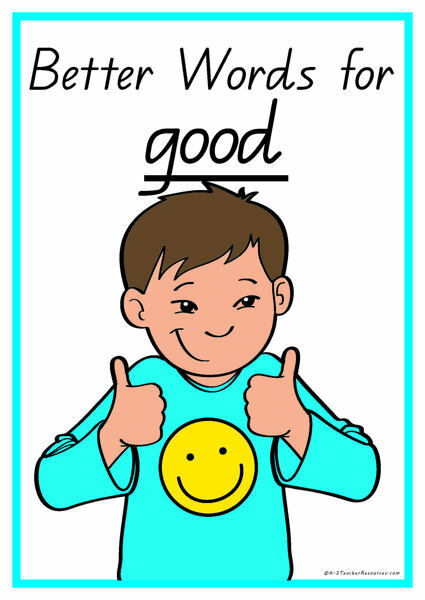 Children replace the ‘good’ part with different words – which one fits best? Brainstorm and list more words for ‘good’ as a class.